That’s what out-of-the-closet actor Rupert Everett called other gay men who want to get married and adopt children. Kevin Sessums talks to Larry Kramer, ACT UP founder Peter Staley, and comedienne Kate Clinton about how they feel about that. That’s what out-of-the-closet actor Rupert Everett called other gay men who want to get married and adopt children. Kevin Sessums talks to Larry Kramer, founding member of ACT-UP Peter Staley, and comedienne Kate Clinton about how they feel about that. Rupert Everett has perfect timing in his portrayal of Charles Condomine in the current Broadway revival of Noel Coward’s Blithe Spirit. But his own timing was a bit off last week when I interviewed him for The Daily Beast. Just as the dapper Brit was dismissing the whole idea of gay marriage, America—at least the parts of it that contain the states of Iowa and Vermont—was about to be swept with what is becoming its weekly dose of social change. It made Everett’s limpid opinions rather quaint. Dear Rupert, I wanted to warn him, you better be careful or your nickname in certain younger gay circles may become Auntie Diluvian. Everett is about to turn 50, but age is not the barometer for political passion. Peter Staley, approaching 50 himself, was one of the founding members of ACT-UP (AIDS Coalition to Unleash Power) back in the 1980s and led a demonstration that shut down the New York Stock Exchange. He went on to found TAG (Treatment Action Guerillas, which morphed into Treatment Action Group) as well as the Web site AIDSmeds.com. He even spearheaded building the gigantic condom that he and fellow activist wrapped around Jesse Helms' house in 1991, in an homage to a Greenpeace action. In a recent blog entry on AIDSmeds.com, he finally revealed that it was David Geffen who funded that bit of guerilla theatre. Yet isn’t this all a kind of gay-rights Stockholm syndrome played out in political terms? Rupert Everett. An old boyfriend. Noel Coward. Madame Defarge. There’s only one name missing here—the Moses of the gay-rights movement, Larry Kramer. Also a screenwriter ( Women in Love), novelist ( Faggots) and playwright ( The Normal Heart and The Destiny of Me), Kramer has often been likened to an Old Testament prophet. So I’ll just let him prophesy from his apartment overlooking the arch in New York's Washington Square, where he is busy working on his life’s opus, a book that traces all of American history and in which he claims to have unearthed irrefutable proof that George Washington himself was gay. 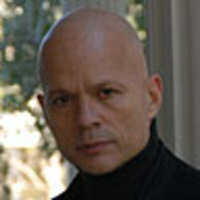 Kevin Sessums is the author of the New York Times bestseller Mississippi Sissy, a memoir of his childhood. He was executive editor of Andy Warhol's Interview magazine and a contributing editor of Vanity Fair and Allure. He is a contributing editor of Parade. His new memoir, I Left It on Mountain, will be published by St. Martin's Press.